Praises of Bangladesh's Pitha can be heard worldwide. The demand, pride, and elegance of this sweet delicacy Pitha or 'Pithe' is at its prime in the winter season. Rice from the newest grains and the beckoning smell of the freshly prepared jaggery lures our tongue into a watery frenzy. The festival of 'pitha' commences parallely in West Bengal too during this time. Even though there can be no alternate of a Bangladeshi pitha, West Bengal is not that behind, especially in the rural area. Widespread popularity of varieties of pitha can be noticed presently in this part of Bengal too. Not only in the occasions of the winters, recently this piece of delicacy has been the star preparation for any occasion. The winter is looked upon as the ideal season for its preparation since the onset of Nabanna aromatic Atap Rice and the best quality jaggery all come together to form the best pitha. In Bangladesh every winter is a spectacular sight of various occasions and challenges that ranged from nationwide to petty household competitions. Families exchange various kinds of pithas while the lady of the houses exchange in competitive pitha making of numerous shapes, sizes and types joined in by the other ladies of the house. One can only picturise the whole celebration on seeing with his or her own eyes. It is known generally that sweetness is the ultimate parameter of assessing a pitha. A pitha can be either dipped in date jaggery or applied otherwise on the other hand in the Bangladeshi Pitha market various kinds of salted pithas are also prevalent in striking proportion. Salty and spicy Pithas also demand appraisal alongside sweet pithas, such is not the scenario in West Bengal. The kingdom of Bangladeshi pitha is surprisingly not only inhabited by veg subjects, but non-veg subjects are to be found too. Stuffing ingredients like egg, meat, and fish [fresh or dried] are widely accepted and appreciated .This is the reason any Bangladeshi pitha's are vividly ambiguous and deserves wondrous praise from the name of the pitha itself and one can easily interpret what type of a pitha it is and what goes as the primary stuffing. Soak the rice flour overnight or at least 8 hours, mix salt, beat well and keep aside. Soak the earthenware as well with water for 2 to 3 hours then keep bottom side up. Now grease the mold with cooking oil and heat over low fire. Take a spoon, pour the batter carefully into each depression, fill only 2/3 portion. Cover with the lid. Leave for 5 minutes over medium heat or until solidifying around the edges, turning opaque. Collect the pithas and soak in slightly hot liquid jaggery [jhola gur] for 5 to 10 minutes and serve. In general the common pitha ingredients are new Atap [also boiled rice or Sheddho rice in some cases] date or palm jaggery, coconut, sugar, milk, coconut milk, sesame, oil, ghee, flour, and for rice preparation includes dry fruits, baking powder, cardamom and cinnamon, egg, punti shutki, chilli, salt, duck meat, and camphor. Gokul Pitha: Milk, coconut, flour, semolina, clarified butter, cardamom and cinnamon. Kata Pitha: Not really sliced or diced, it looks like a miniature boat or a crescent moon. Common pitha ingredients. Kusholi Pitha: Husked sesame and boiled rice. Patishapta Pitha: It is the trademark pitha of the Bangladeshi clan. Normal Pitha ingredients. Paturi Pitha: A very tasty burned pitha cooked in young banana leave pocket. Ripened banana, powdered rice and jaggery are among the core ingredients. Poa Pitha: One quarter [poa] quantity pitha. Powdered rice, sugarcane jaggery, oil and hot water is used for puffing up the pitha. Chitoi Pitha: A salted pitha made from boneless Hilsa fish, milk, new rice powder, salt, scrapped coconut, sugar lollies in special earthenware [or non stick appam chatti]. Dudhkuli or Roshmalai Mitha: Generous amount of rose water and salt is the special ingredient for this pitha along with milk, sugar, powdered rice, cinnamon and cardamom. Pakon Pitha: A Special and famous pitha of Barishal made from . Jhajhri Pitha: A Single such pitha weighs about 5 to 6 kg. Ingredient include thickened milk, sweetened ash gourd, pistachio, cardamom powder, date jaggery, slight salt, and new rice. Its traditionally served in 3 to 4 single-bite pieces from the whole. Phulkuchi Pitha: Rice powder, salt and food color. Ready-to-cook item is available now in the local market. 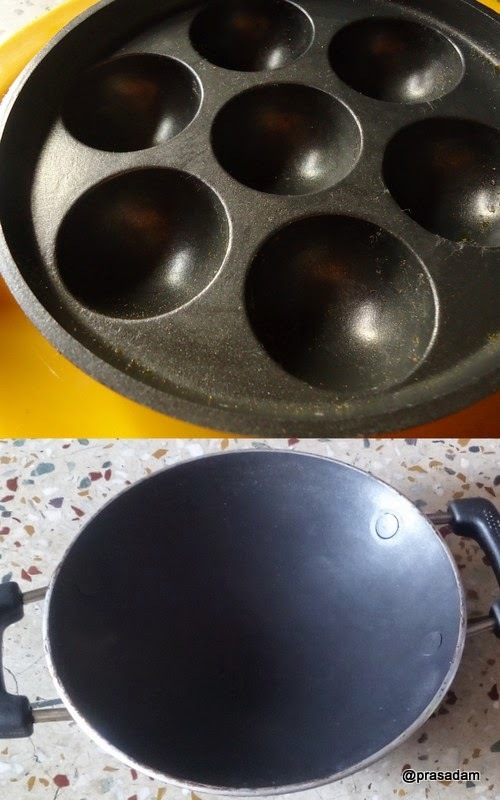 It puffs up almost three times while frying. Binni dhaner Pitha: Steamed pitha made from Binni atap rice flour and is served with ripened banana and freshly scrapped coconut. Taal Pitha: A Seasonal pitha made of Palmyra palm during the monsoons. Ready-made Bread Pitha: A regular and common pitha. Consumed as one of the daily dietary items. Poppy seeds Pitha: Flour, soyabean oil, sugar, poppy seeds. Biscuit Pitha: A Baked one. Laskar Pitha: Hard and firm one, made with flour, rice flour, coconut powder, sugar, oil, salt, finish cooking with sprinkled cardamom powder. Makhonmala Pitha: Ingredients are red lentil, rice flour, sugar, soya oil, boiled wheat flour, cinnamon and cardamom. Phul andarsha Pitha: Royal and rich pitha, a tribute or complimentary present paid to the bride or groom during marriage ceremony in Bangladesh. Hollowed banana stem, sweetened milk film, solidified milk, egg, sugar syrup, dry fruits and nuts and spices. Moong Pakon Pitha: This is a signature pitha from Barishal. A designed pitha stuffed with yellow split lentil [green gram moong dal]. Mutho Pitha: Made by pressing in folded palms of ones hand. Maara Pitha: Palm-sized, same way like Mutho pitha, but with both hands. Sandhamoni Pitha: Rice flour, egg, prawn paste, black pepper powder, ginger, salt, and soya bean oil. It looks like Shandkhamoni fruit [the four o'clock flower, Mirabilis jalapa L.], which falls in the group of hard pitha cake. Sojne Pitha: Almost like salted patishapta. Sago dana Pitha: Steamed tapioca pitha in jack fruit leaves, requires to be served immediately after cooking ceases. Binni senka Pitha: No oil needed for this pitha. Pora Pitha; Burned pitha in young banana leaves. Pata Pitha: Cooked in jack fruit leaves [kathal pata] on double-broiler. Tejpata Pitha: Old-fashioned pitha on Bay leaves. A single pitha is served on each leaf. Dim Pitha: Egg pitha can be spicy or sweet. One egg for each pitha. 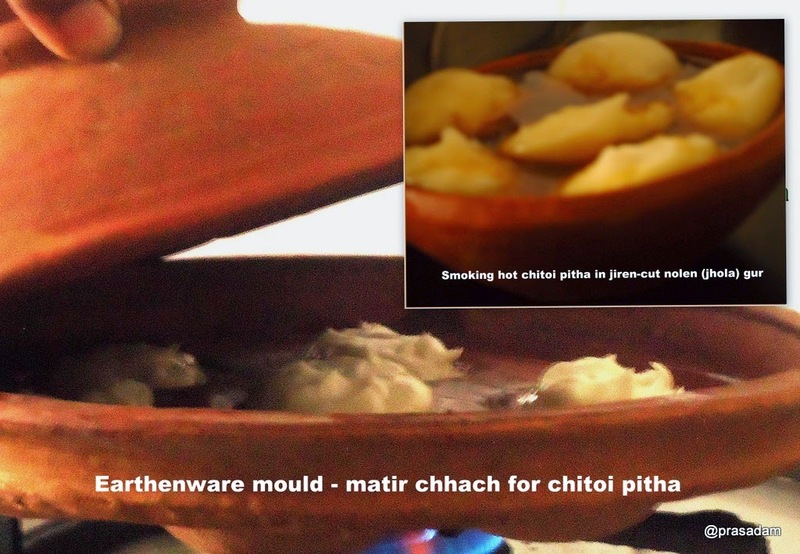 Chutki or Choshi Pitha: It has to be made by crushing thousands of rice with the rice flour dough, a sweet delicacy, very time consuming and needs patience, but an unforgettable one if once tasted this hand-made rice kheer. Jhal Papri Pitha: Spicy wheat flour pitha. Onthom Pitha: Pitha made with thick milk film. Kathal Pitha: Ripe jackfruit pitha. Kola Pitha: During sankranti and puja rituals annual sankranti festival a pitha preparation made from bananas. There are also other pitha kingdoms like Barishal's famous 'Kuora pitha', salty cauliflower pitha etc. There is no standardization for Bangladeshi pitha, it is a congregation of various pitha kingdoms with their own rules and flavours which can be distinguished from state to state in the geography of Bangladesh. It is a product of the still flourishing delicacy industry of Bangladesh's most favourite item that is closest to its heart and is a ritualistic product of every household. The Malls and Five Star hotels of the present era has not been able to diminish the aura surrounding this indigenous delicacy. In additions to this fact, this recipe has recently joined the rare class of health conscious recipes. 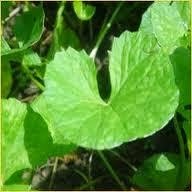 Inhabitants of West Bengal nourish their share of this divine delicacy if not equally at least in the rural areas. Those who have tasted the Bangladeshi counterpart of the dish out of curiosity cannot reign their mind racing across the border to Bangladesh on the onset of each winter from the attraction of Bangladeshi pitha. Smack it clean of the platter"